And people are saying Trump’s great and America’s great and the economy’s great. Again. American Keg Company is the only remaining U.S. manufacturer of stainless steel beer kegs. Despite competition from German and Chinese firms, American Keg has only used domestic steel. But now it’s being punished for this domestic sourcing as Donald Trump’s steel tariffs have forced the business to lay off a third of its workforce. 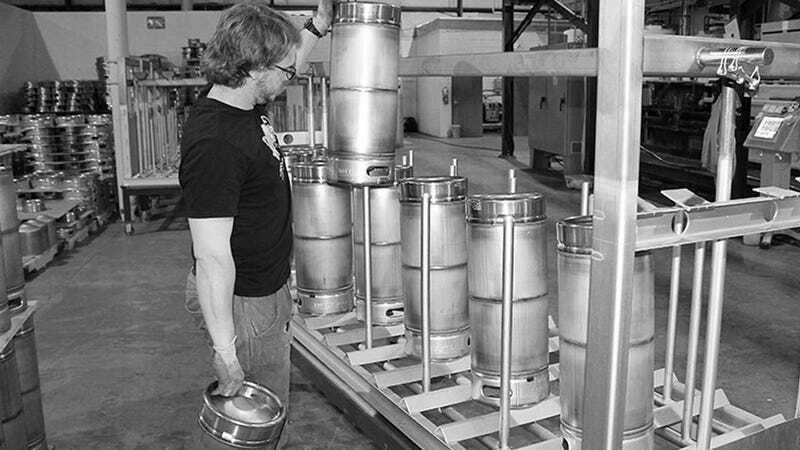 Since it began manufacturing kegs in 2015, the Pottstown, Pennsylvania-based American Keg has operated on a narrow margin. The 15.5-gallon keg is a staple in bars and fraternities, and the American-made version currently retails for $115 while a German or Chinese keg costs about $95. American Keg has survived by selling to craft breweries that want to support U.S. workers and American steel, even at a small premium. “But there’s a limit to what people would pay to have an American product,” says CEO Paul Czachor. Mr. Trump has imposed the tariffs in the name of national security. But in practice they punish American steel users by giving the American metal industry the opportunity to raise prices while still undercutting foreign steel and aluminum. Tariffs were one of Donald Trump’s campaign promises, and steel makers have already raised prices in anticipation. Since Mr. Trump took office, the price for American hot-rolled steel coil has increased by more than 35%, rising about $222 a ton, according to price data from S&P Global Platts. When the President signed orders imposing the tariffs on March 8, prices increased by more than 4% in a day. One week after the Commerce Department recommended heavy tariffs on steel and aluminum in February, Mr. Czachor gathered 10 of his 30 workers in a conference room at work and broke the news that they were being laid off. Mark Foster, 55, was among those who lost a job. Good question. The Trump tariffs are supposed to protect the 140,000 workers employed by steel makers. But even if they do that for a while, until companies like American Keg suffer and stop buying steel, the tariffs punish the 6.5 million workers in steel-dependent industries. Many of those newly vulnerable workers are blue-collar guys like Mr. Foster who crave the dignity of a day’s work. Mr. Trump will pay a political price for his rotten policy, and he should. But far worse is the arbitrary damage to businesses and workers like Mark Foster who are being punished not by competition but by their own government. Appeared in the March 17, 2018, print edition.